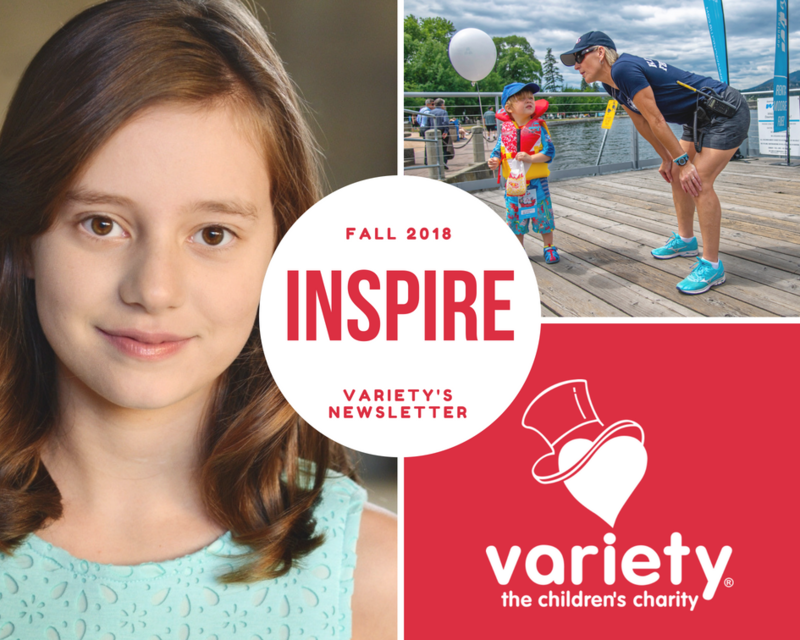 Variety BC’s Newsletter “INSPIRE” provides feature updates from the families of the children that you help directly, event fundraising totals and stories from donors like you that really inspire us! This edition includes a profile of a rising star named Esabella. She received funding from Variety so that she could attend a school tailored to her learning style. Your support helps Esabella make strides in her learning and provides her with a learning environment free from bullying. Read on to find out more about our Boat for Hope and Radiothon events, and mark your calendars for upcoming events like our Gold Heart Gala, Variety Week and Vintage Market. For more information or to support Variety, visit our financials page, read more stories, get involved with us or donate! Have a story you want to share? We’d love to hear from you, email Shannon today.